Ample parking in the Olde Avon Village. $88. Two 6 oz. filets served with two house salads or soups of the day, two sides, and a dessert. All of the steaks may be accompanied by one sauce or one butter. "The perfect dinner for two." Amazing food, great service! The atmosphere is so well done. Amazing food and service...we felt like we were their #1 priority! We were celebrating our 5th Anniversary and everything was great! Corey did a wonderful job and was very informative. Food was amazing and we appreciate the card! definitely will be back. 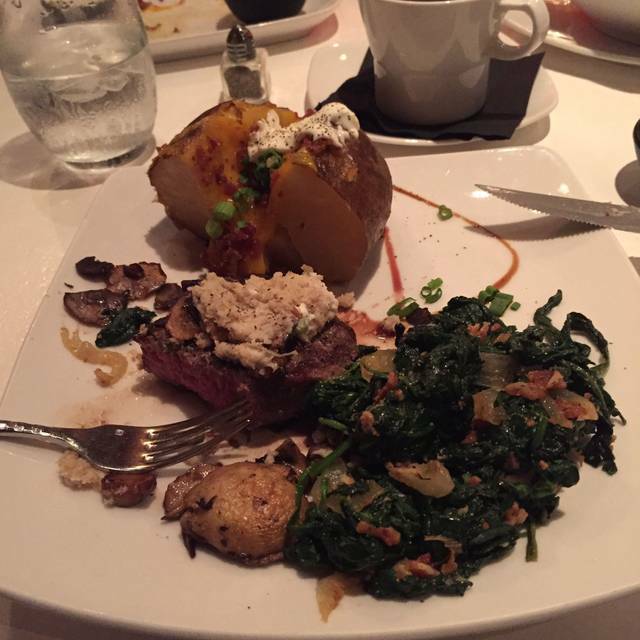 We always have a terrific meal and experience at the Strip. Colton, our server, was great - very attentive and thoughtful. The steaks were cooked to order, the sides delicious. The triple chocolate cake was wonderful. The wine selections are numerous and tasty. Everything was top notch as usual. Service was excellent and the meal was delicious. 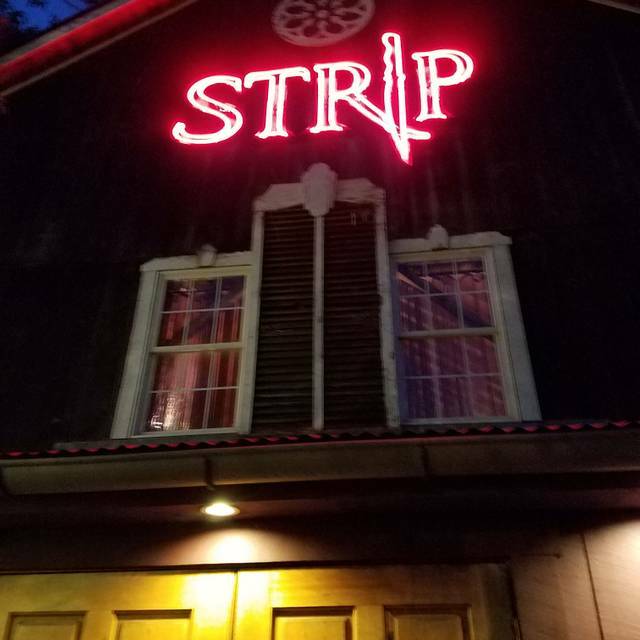 I brought my wife to Strip for her birthday. We both enjoyed our meals, and the atmosphere, very much. We look forward to coming back very soon. Our Server was excellent, I can't remember the young man's name, but the receipt says "Texas". I will recommend this establishment to everyone I know that is looking for a quiet, luxurious, place to get an excellent meal. The atmosphere was quiet and relaxing. Our waiter did a wonderful job in explaining new dishes and choices. My ahi tuna was the best I’ve had here. And as always my husband loved his steak. Was our 45th wedding anniversary and we were glad to have spent it at the Strip! We have eaten at Strip many times in the past and our experience has always been positive. However, on our latest visit, both my wife’s and my steaks were overcooked. People will say, why didn’t we send them back? When you’re dining with other guests, this isn’t an option. By the time our second meal would be prepared, our guests would be finished. This is never a desirable outcome. The waitress only said she would mention our dissatisfaction to the chef. One would think after spending $30 a steak, we might have been offered a meal voucher to make amends. An excellent place to celebrate our 25th anniversary. Great food and service. We went to Strip Steakhouse to celebrate our 30th wedding anniversary. From beginning to end, our experience was 1st rate. Our hostesses were friendly - gave us a card for our anniversary - which was above and beyond. Our server was outstanding. The food was - well - it was the best steak I've ever had. We will definitely be returning to Strip. I also loved the decor - rustic barn, but classy too. Thanks to Strip and it's staff for a memorable evening. Best steaks we’ve ever had. Great meals...both were delicious! Our server, Natosh, was superb. I thought the steaks were of poor quality. I ordered the “stripper” steak. It was dry and didn’t have any type of seasonings on it. Very bland tasting. For the money I spent, those steaks should have been delicious. But they were not. The side dishes, however, were very tasty. We were celebrating my wife's birthday. Promptly seated. 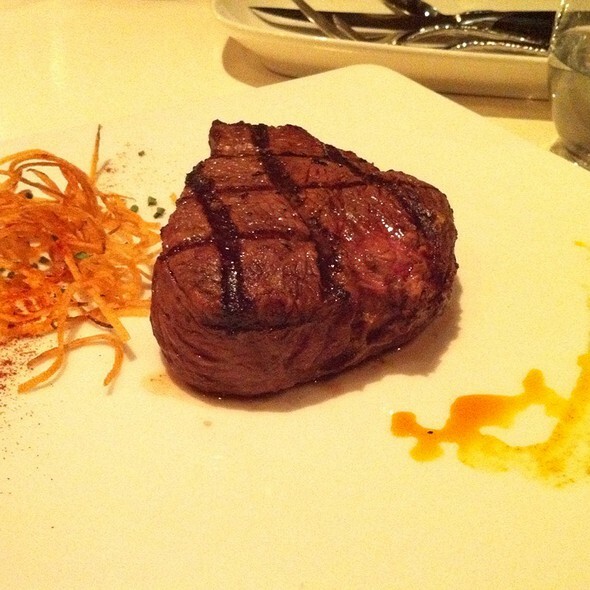 The menu selections are creative and lead to a lot of interest, not just your regular list of steaks and such. The appetizers were great. The mussels I had with the sausage and broth was fantastic, and excellent to retain the broth when you are served the pretzel bread between courses. Presentation of the entrees was impressive for any foodie; it is evident that there is some professionalism and pride in the product and service of this restaurant. 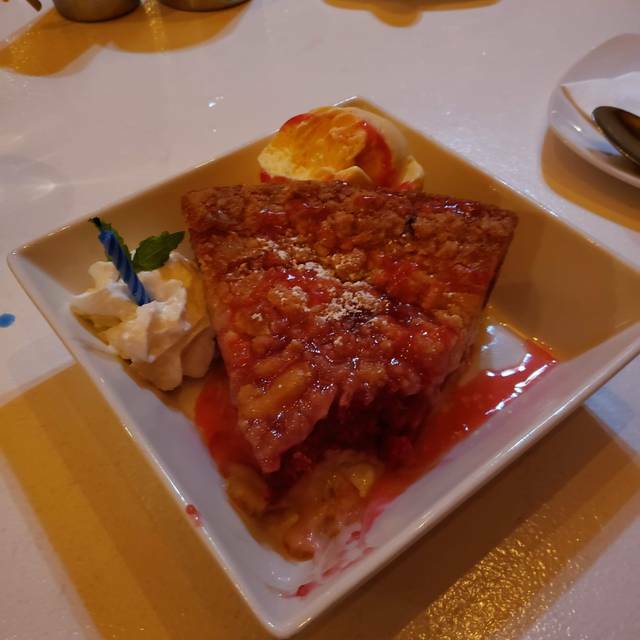 They served my wife a birthday cake, so we passed on the deserts. 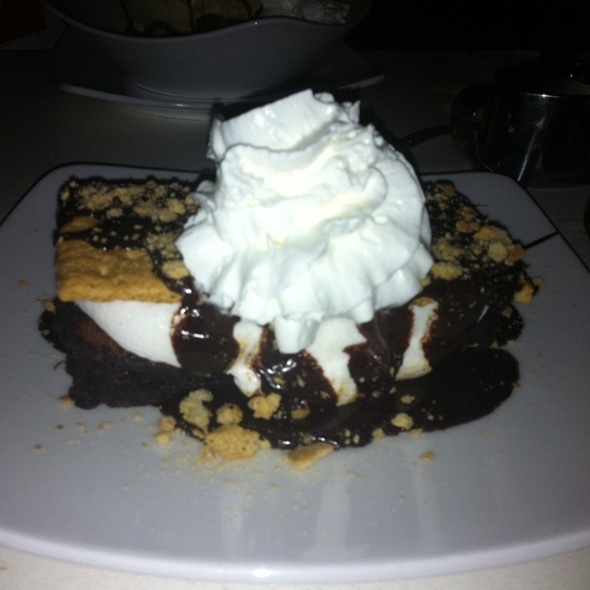 The food was fabulous and our waiter was very knowledgeable about the menu and specials. Definitely recommend this place!! The whole experience was amazing and my husband and I can't stop telling others about it. The food was excellent and Charlie was an awesome waiter!! We will definitely be back!! Went here on our anniversary. Love the food however would recommend somewhere else for an anniversary dinner. Most other steakhouses I have been to for an anniversary will usually do something special, felt like tonight’s dinner was just like any other dinner at Strip. Didn’t make it feel like a special night. My @40winekave post today. Good food + good wine = great instagram info!! Dinner last night @stripsteakhouse. Steaks were superb, sides divine, server Charlie the best. And ooooh the wine! #goldeneyepinotnoir is always great. Our first ever bottle of @orinswift Palermo Cab Blend with is dark rich full-body flavor did not disappoint. Left us saying Encore! Encore!! Per usual my only complaint about this restaurant is that I need to be rolled out in a wheelbarrow! I always forget how good and generous the portion sizes of the sides are! This dinner was for our 10th Anniversary And we could of not asked for a better experience. The service was exceptional . Best steaks we have ever had. Everything was great. We will definitly be back. The food and service were above and beyond expectations!! If your looking for a fine dining experience Strip will not disappoint! We come here about 3-4 times a year and get the same dinner for two because it’s the best for the money. Every server has been great. The food is always prepared the way we ask. Food is always great. Such a nice atmosphere and the staff is friendly and efficient. An added treat is a tasty birthday cake for one of our party. A fine dining experience. The food & service were phenomenal! More and more restaurants, when the waiter is listing that day's specials, are giving the price. Strip isn't one of those restaurants. Our waitress told us about the specials - including a cabernet - and we had to ask about price. People want to know what that lobster/seafood special is going to cost them, and not saying up front in hopes that they're too worried about being thought to be cheap to ask is out of date. Reconsider this, Strip. Everything about our experience was fantastic. We had the dinner for 2. Steak was the best I've ever had. Mac and cheese & scalloped potatoes were fantastic. 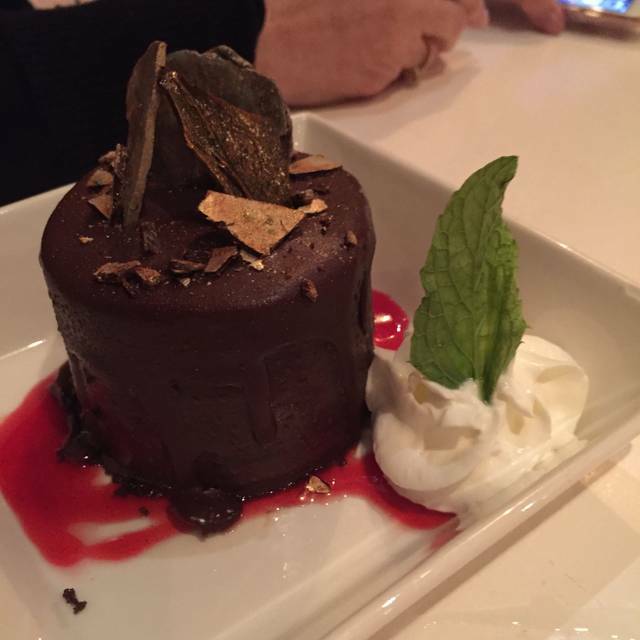 We ended our meal with triple chocolate cake. It was wonderful. Things began well. The lobster bisque was superb and the wine was excellent. Then came the entree. The Boilermaker steak was borderline inedible. The "rub" or the "crust" or whatever the chefs call it -- in this case, the Honey Apple Bacon -- was so thick on the steak that I could not cut through it. I had to cut lengthwise through the meat, parallel to the plate. The "rub" itself was extremely salty, probably owing to the bacon. Eventually, I had to cut off the sides of the steak that were "rubbed," leaving me with less steak, of course. To say that the steak was disappointing would be like saying that Pavarotti could carry a tune. A severe understatement. My companion shared my disappointment. We left your restaurant shaking our heads. Given Strip's reputation, we will probably give your place a second chance. But you're on probation. Nice to see there is a top of the line steakhouse in Lorain County. Great service and delicious food. A great "occasion" place to dine. First time here. Our server was Amanda and provided a great experience. Very good beef. Will try again. This was our second time to have dinner at The Strip Steakhouse. We've had two wonderful meals. Our steaks were perfectly cooked, my shrimp was poached in butter and delivered hot. 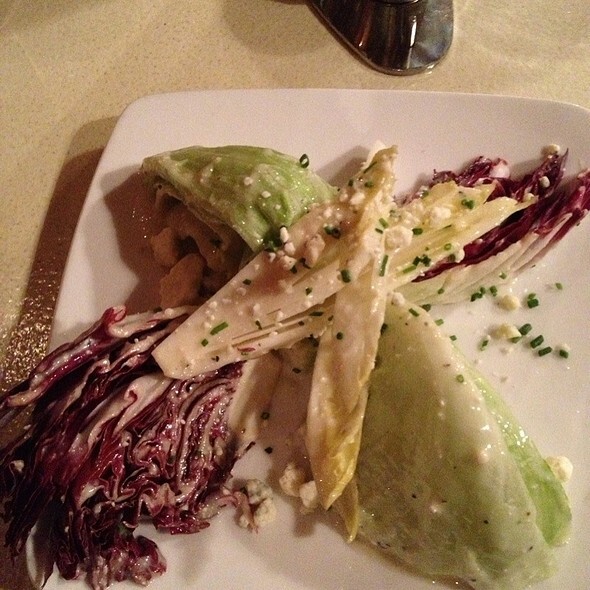 The salad is wonderful and the homemade blue cheese vinaigrette one of the best dressings I've had on a salad. 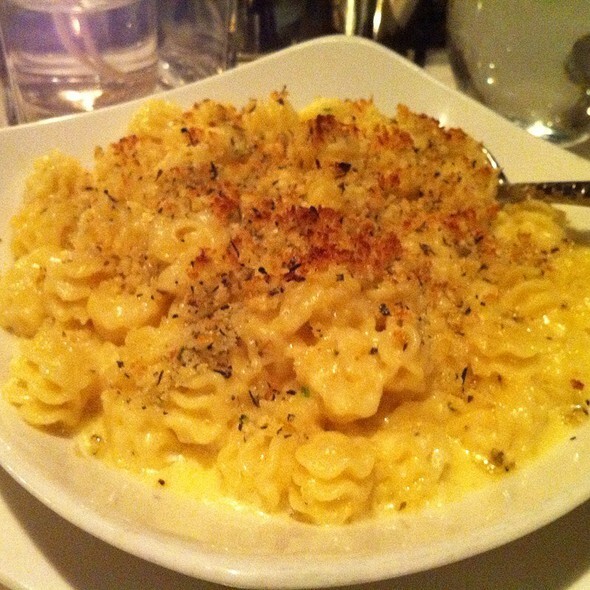 The side dishes are unique and large. Our server was friendly and engaging. We'll certainly be back. I think we've found our new favorite place for our special nights. I brought my sister for dinner for her birthday and I have always had great experience besides this last visit. Had to send my 45.00 steak back wasn't cooked right. I also had a waiter that was terrible and service was bad. I take my husband every year for his birthday and it is always a wonderful experience. If you have a birthday to celebrate, tell them with 24 hour advance notice and they will supply a cake! We come to Strip for special occasions, at least three times a year. 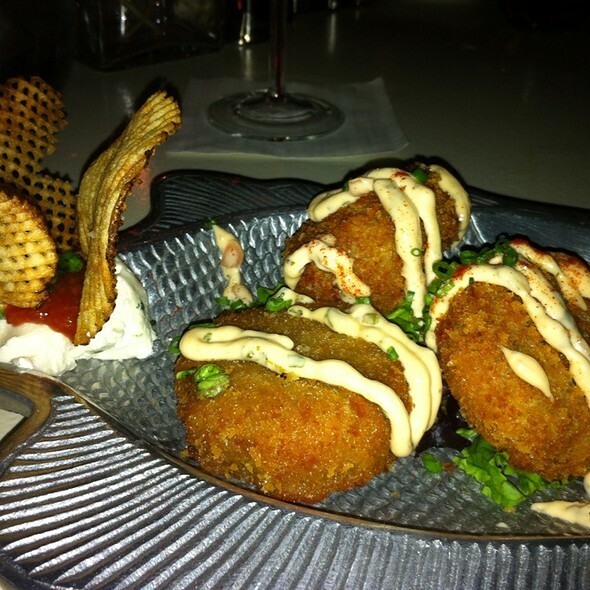 Always amazing food and outstanding service. The birthday cake is always a nice touch and one less thing I need to worry about.